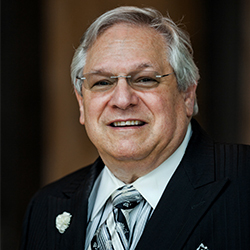 Sanders is currently of counsel at Greenberg Traurig, LLP, previously served as the DDA’s Board Chairman in 2000 and currently serves as Vice Chairman of the West Palm Beach Library Foundation. Prior to joining Greenberg Traurig, LLP, Sanders served as the City Administrator for the City of West Palm Beach, reporting directly to the Mayor. He was brought into the city administration by Mayor Graham to lead the city’s revitalization development efforts as its strategist, key negotiator and facilitator in significant economic impact development projects and transactions. Before his tenure with the City of West Palm Beach, he was a venture capitalist providing capital and organizational consulting to new and expanding business ventures. Sanders had retired as the President and Chief Operating Officer of a nationally recognized real estate development company that developed, constructed and managed regional and local retail malls, office buildings and hotels. Sanders earned both his Bachelor and Juris Doctorate degrees from Temple University.